Getting married will be the beginning of a fascinating life long journey. Sunsational Vacations is here to help make your first journey together unforgettable! 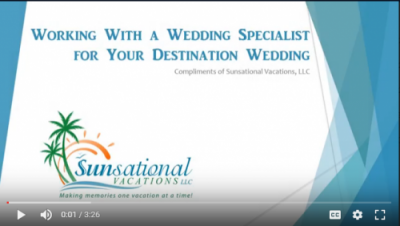 Whatever your dreams are for your Destination Wedding or Honeymoon, you can trust the Certified Honeymoon & Destination Wedding Specialists at Sunsational Vacations to customize your once-in-a-lifetime trip to your desires. Destination Weddings are increasing in popularity because they are easier to plan, they’re more memorable than traditional weddings, and couples are able to enjoy more time with their guests. Did you know that on average, destination weddings can be $15,000 to $20,000 less expensive than traditional weddings? 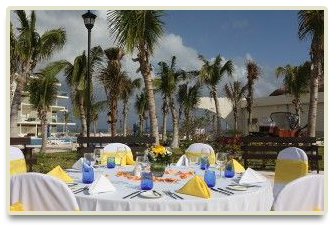 Most destination resorts also provide additional services, sometimes at no cost, for the event planning and coordination. If you are planning a destination wedding, using a travel professional experienced in destination weddings is a stress-free way to make sure you have the whole package for you and your guests. Not only will you be saving time by leaving all of the travel plans in the hands of your experienced travel professional, but you and your guests will save money by booking as a group. You’ll also enjoy the peace of mind that comes with having your own travel professional to call if any issues arise before or during your trip, such as last minute cancellations, weather delays, or emergencies during travel. Unlike an online call center, your travel professional will be familiar with your group and can help you with any situation that may arise. We will handle the travel documents and make sure they’re correct. We’ll explain travel insurance to you and your guests, as well as rules about minor children traveling with one natural parent, or any other issues that may come up. Number of guests you anticipate, including ages of any children that will attend. Departure gateways and approximate number of nights your guests will stay. Not sure where to start? Tell us about the type of wedding you have in mind and we’ll give you our unbiased recommendations based on what you are looking for and what’s right for you. 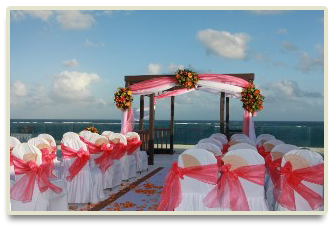 A Destination Wedding can be a great option for you. Don’t trust the most important trip of your life to an online do-it-yourself travel site. Contact us today for a personalized approach to planning your Destination Wedding. While we handle the details of your itinerary from flights to accommodations to special requests, you can relish the excitement of your upcoming trip. Whether you have an idyllic image in mind or no idea where to begin, Sunsational Vacations is here to help. Cathy, thank you for doing a phenomenal job at finding the perfect honeymoon spot for my husband and I. Cathy took the time to learn a little about us before providing options. She was also extremely prompt in responding to all emails. We never waited more than an hour before hearing back from her, and she answered every question we had. 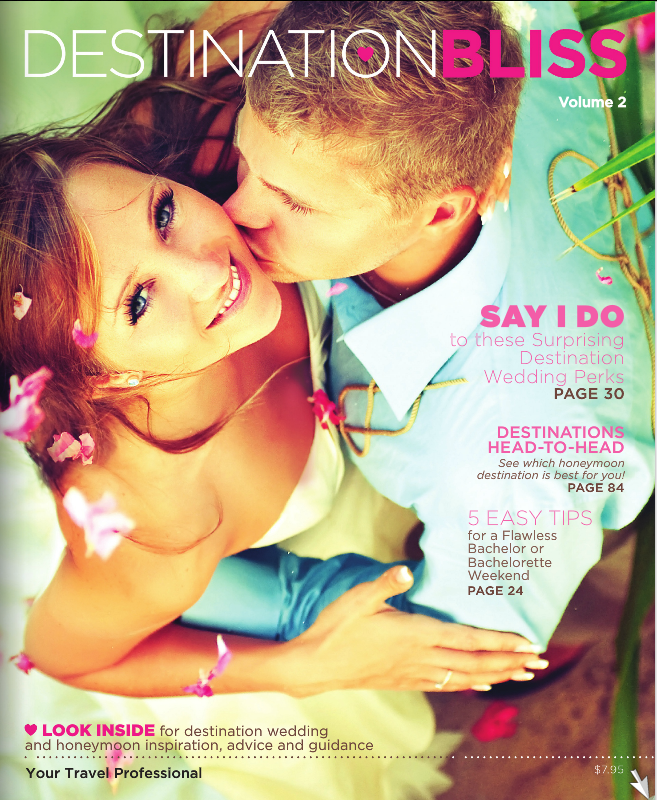 Once we decided to have a destination wedding finding a coordinator was the most important decision. Coming across Cathy was a Godsend, I’m sure we had more questions than the average customer but Cathy was with us every step of the way. She accommodated our guests (even the last minute ones) every step of the way. Cathy was great!!! Please contact us if you would like a hard copy of our magazine sent to you. 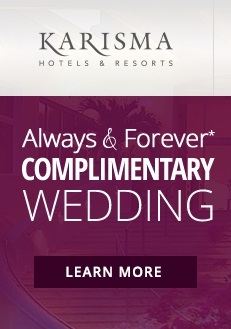 You can learn more about the Complimentary Always & Forever Wedding Package. Provide your correct full names. Book your cruise in your maiden name if your passports and other identification (drivers license) will not be changed by the time of your departure. Confirm the pre and/or post cruise activities/excursions that you are booking with the cruise line. Book your airline ticket into the city of the port that the ship will be departing from, and if possible, arrive the day before the ship departs. Check on available shuttle services and pier parking. Choosing a stateroom. Pick a stateroom away from the main activity areas of the ship. If you can afford it, book an ocean view stateroom, or better yet a stateroom with a balcony. Find out about shore excursions. What are the costs and which ones are available. Book shore excursions in advance. Purchase trip insurance, a wise investment to protect you against any unforeseen circumstances. Make your deposit and find out when final payment is due and the cancellation policies for the cruise line. Use an experienced Travel Professional who can guide you to selecting the right cruise ship and itinerary for you. Choose a honeymoon cruise by looking for cruise lines that offer romantic ships and destinations. Smaller or mid-size ships offer more options for romance while larger ships offer more activities. If cruising with families and children is not what you would consider romantic, then be sure to choose a ship that’s geared more for adults! Wedding & Vow Renewal Ceremonies available. Limited tables for two available. Sunday/Monday departures available. Complimentary champagne reception and cake. Gift package: Carnival souvenir t-shirt, visor, reusable flash camera, bar credits, photo coupons, bottle of Korbel champagne, two engraved flutes. Honeymoon package available (flowers, bathrobes, champagne, etc). Sunday departures available. Complimentary champagne reception & cake available. Table for two available upon request. Honeymoon package available. Wedding program, cabin decorations, honeymooner party certificate. Special Honeymoon/ Anniversary packages available. Crystal Honeymoon, Anniversary and Renewal of Vows at Sea packages available. Sunday/Monday departures (limited availability). Special Romantic Escape packages available. Resort/Cruise Packages. Sunday departures available. Complimentary champagne reception available. Table for two (limited availability). Honeymoon package available. Vows Renewal Package. Weddings On-Board. Sunday departures available. Complimentary champagne reception & cake available. Table for two available upon request. Certificate, photo & cocktail party. weddings on-board, special honeymoon packages available. Complimentary champagne reception & cake available. Table for two available upon request. 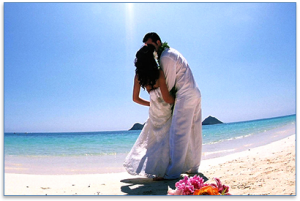 Wedding, anniversary, vow-renewal or honeymoon packages. Wedding at Sea packages available aboard Grand Princess and Golden Princess. Sunday departures available. Complimentary cake available. Table for two available upon request. 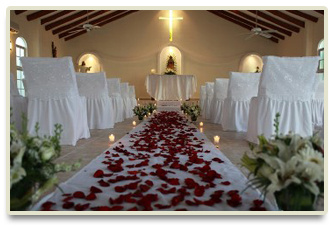 Wedding, vow renewal & romance packages available. Honeymooner party. Complimentary Champagne reception & cake available. Sunday departures.